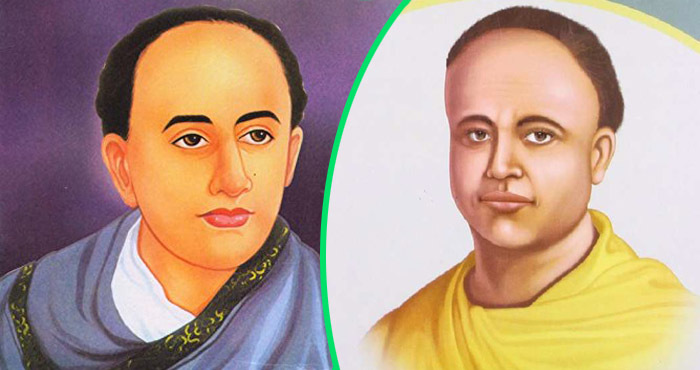 Jharkhand has the rare privilege that Ishwar Chandra Vidyasagar the father figure of Bengali Script and Bengali language choose Karmatand to live last 18 years of his life. ‘Nandan Kanan’, was the name of his abode at Karmatanr(now in Jamtara district). He not only lived with santhals at Karmatand, but tried to up lift their social structure. He started the first formal school for santhal girls, possibly the first girl’s school of our country. He opened a free Homeopathy clinic to provide some medical care to these unprivileged tribal people. He also tried to educate the adults of the Tribal population. He was worshipped like God by tribal population. Vidyasagar was a well-known writer, intellectual and above all a staunch follower of humanity. He brought a revolution in the education system of Bengal. Vidyasagar refined the Bengali language and made it accessible to the common strata of the society. The title ‘Vidyasagar’ (ocean of knowledge) was given to him due to his vast knowledge in almost all the subjects. Poet Michael Madhusudan Dutta while writing about Ishwar Chandra said: “The genius and wisdom of an ancient sage, the energy of an Englishman and the heart of a Bengali mother”. Ishwar Chandra Bandopadhyaya was born on Monday the 26th of September 1820 (12 Aswin Bengali Year 1227) in a village called Veersingha of the then Hoogley (now part of Midnapore) district of West Bengal. Vidyasagar spent his childhood in extreme poverty. But poverty did not touch his soul, nor could it deter him from his chosen path of achieving his life’s goals. His father Thakurdas Bandyopadhyay and mother Bhagavati Devi were very religious persons. Ishwar Chandra was a brilliant student. His quest for knowledge was so intense that he used to study on street light as it was not possible for him to afford a gas lamp at home. In the year 1839, Ishwar Chandra Vidyasagar successfully cleared his Law examination. In 1841, at the age of twenty one years, Ishwar Chandra joined the Fort William College as a head of the Sanskrit department. Ishwar Chandra Vidyasagar initiated the concept of widow remarriage and raised concern for the abolition of child-marriage and polygamy. He also opened the doors of the colleges and other educational institutions to lower caste students, which was earlier reserved only for the Brahmins. 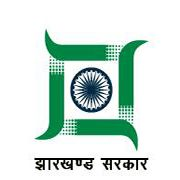 For his immense generosity and kind-heartedness, people started addressing him as “Dayar Sagar” (ocean of kindness). There are very few living Bengali soul on this planet today who has not heard of Vidyasagar or has not commenced the process of education with his first book of alphabet (Part I and Part II) called Varna Porichoy first published in 1855. His pioneering works like, laying the foundation stone of Bengali prose and translation of the Sanskrit masterpieces to Bengali – shall remain as the fitting monument of human endeavour in the quest for and spread of knowledge. Tagore revered him as ‘the father of modern Bengali prose’. To prove, his compassion for widows he married his own son off to a widow. On 26th July 1856 the ‘widow marriage’ was legalized by the then Government. He lived as a modest man but his work of charity was that of a king. He preferred plain dress made from home spun cotton – as his mother used to make his dresses when she was alive. Vidyasagar was a lonely tall tree in the bush around him. Disaffected with petty-mindedness and confronted with selfish behavior he severed connection with his family and lived with tribal people in the last 18 years of his life. After his death the Nandan Kanan, the abode of Vidyasagar was sold by his son to Mallick family of Kolkata. Before Nandan Kanan could be dismantled Bengali Association Bihar on 29 March 1974 purchased it by money collected by house to house contribution of one rupee each. The Girls School has been restarted, named after Vidyasagar. The Free Homeopathic Clinic is serving local population. The house of Vidyasagar has been maintained in the original shape. The most prized property is the 141 year old ‘Palanquin’ used by Vidyasagar himself.